People wash their hands and try to disinfect their surroundings because they would not like to catch any bacterial infection. However, you should know that this would not help you too much to stay healthy. There are bacteria that we need, but that can also induce some diseases. We distinguish bacteria that are present in the air, that are on surfaces and that are on our body. Every type of bacteria exists for some purpose. Some of them can cause serious health problems, but others are very helpful for a proper functioning of our body. Cocci are very small bacteria that generally lead to diseases and they are responsible for many health problems, such as food poisoning, meningitis and many other ailments. The problem with these bacteria is that they have become resistant to a great number of antibiotic drugs over time. 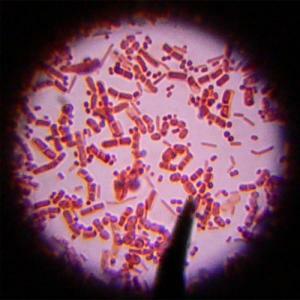 Another type of bacteria that we will mention is bacillus. This bacteria type excites our curiosity because it can stay alive for 100 years. However, it is responsible for many serious diseases, such as different types of plague and anthrax, but individuals usually are exposed to these bacteria through the spoiled milk. Spirochete is the type bacteria that can have different shapes. We distinguish two types of spirochete and one of them is vibrio bacterium and it can be found in water that is polluted. These bacteria are responsible for disease called cholera. Differently shaped spirochete can cause Lyme disease. As you can see, every type of bacteria is responsible for some serious diseases but a great number of bacteria are helping us to survive. The majority of people are afraid of bacteria and they use antibiotics non-critically in order to destroy them. You must be aware that by using antibiotics when that is not necessary, you actually promote mutation of bacteria and them to become resistant to those antibiotics. Superbug is the term that we hear a lot about today and it is related to those bacteria that became resistant to medicines. There are many bacteria in our body that help us to function. For example, bacteria in our digestive tract help our body to digest food. Our colon is full of different types of bacteria, and what's more, believe it or not, bacteria are present even in the food we eat. If we would want to prepare yogurt or cheese, we will not be able to do it if there are no specific types of bacteria.